Combination Burner / Lances can be used as oxygen injection lances, for refining as well as preheating and melting of scrap. Used for helping keep slag door area clean and heating “cold spots” in the furnace. Water cooled design allows for quick and safe Tip replacement and repair. 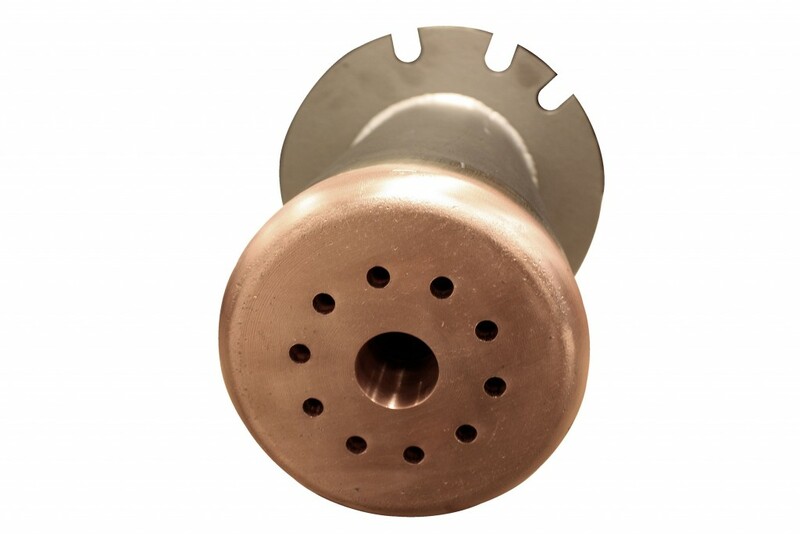 Burners can be custom fit to existing furnace openings or designed in combination with a replacement shell panel. Can be adapted to either sidewall or slag door mounting depending requirements.